Creating repeatable business processes is an important part of building and running an effective organization. Well-designed and documented business processes are critical for the success of business activities, whether the company is a small two- or three-person business or a large corporation with hundreds of thousands of employees. Businesses that don't take the time and care to create repeatable processes run the risk of quality and consistency issues. A business process flow is a way of visualizing and documenting the steps in a business process. Flow charts document inputs or requests for information, products or any other deliverable; the procedural steps to satisfy that request; and the output, or deliverable, that is generated by the input. The basic components of a business process flow are inputs and outputs, which are usually denoted by ovals. Some methodologies use circles to denote an input or an output. Either/or decisions are indicated by diamond boxes. Actionable procedure steps are denoted by rectangles in the flow chart. Some flows use arrowheads to visually indicate the direction of the procedure flow. In some instances, modified boxes are used to denote things like a procedural step that requires the execution of a sub-business process. Subprocesses are documented with separate business process flows. The tools used to create process flows range from flow-charting extensions in word processors to dedicated flow-charting software like Visio or Calligra Flow. At the high end, Enterprise Resource Planning software often has dedicated flow-charting modules tied to other resource planning modules to ensure that Kanban or Just In Time supply needs are met. What Are the Different Kinds of Flowcharts? Business process flow methodologies ensure consistency among business processes for a particular organization. Most methodologies are driven by the choice of a particular ERP system or flow-charting system. 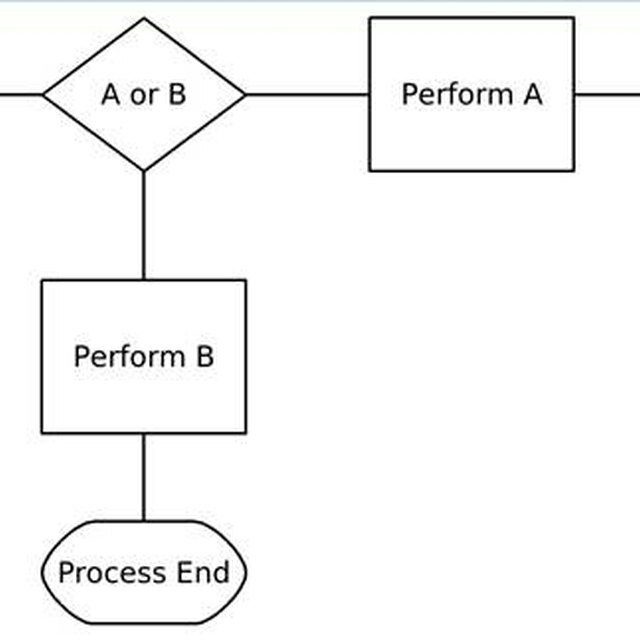 It is common for an organization to define methodologies that support its unique business practices, such as the inclusion of data structures in a process flow. Creating process flows is a specialized field. In a well-implemented business process, development, documentation and engineering project specialists -- often technical writers -- write and develop accurate and usable business process flows by consulting and interviewing subject matter experts. People closely involved in a business process often have trouble distancing themselves from their portion of the process and viewing the overall business process from an organizational vantage point. By bringing in specialists in documenting business processes, an organization ensures the creation of business process flows that will benefit the organization as a whole, rather than being targeted to a particular part of the organization.